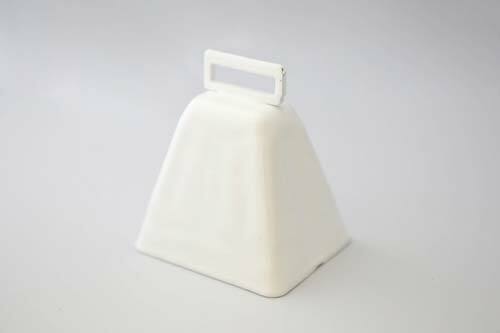 This white cowbell is the perfect wedding bell to ring in the crowd! Bells symbolize the joining of couples, and ringing bells brings good luck to newlyweds! Use this cow bell for country wedding decorations. Give them to guests for noisy fun!